"Your on-line sled dog advertising & information source"
Skagway, Alaska, gallery that is open year round! the challenges he must overcome to carve out a life in harsh sub-arctic Alaska. personal collection and journal pages. 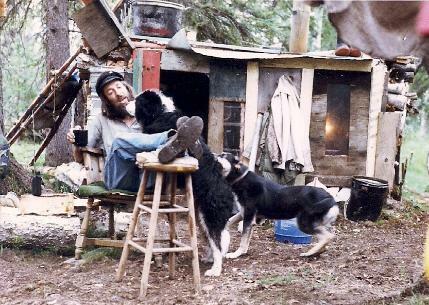 front of his first Alaskan dwelling, with dogs Major and Ginger. Links open in a new window so you won't lose your place on our site.